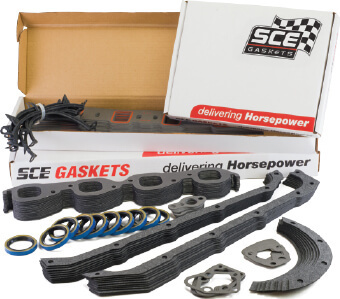 SCE offers engine builders an economical alternative to making huge bulk purchases or having to cherry pick gaskets from engine sets for testing. Dyno-Paks are listed right along with single packaged items in the Performance & Racing section. Call 8004275380 to learn about money-saving Dyno-Paks.